Designed by Val Page, Ariel’s KH 500cc twin was produced between 1948 and 1957; starting out as the Red Hunter, becoming the Huntmaster and then the Fieldmaster (surely a name more appropriate for a tractor? ), these revisions reflecting its change in role from sportster to tourer. At the time of its launch Ariel’s new twin seemed to have a bright future. With a top speed of around 90mph, the KH was as fast as a BSA A7 or Triumph Speed Twin, and a real eye-catcher with its red-and-chrome petrol tank. 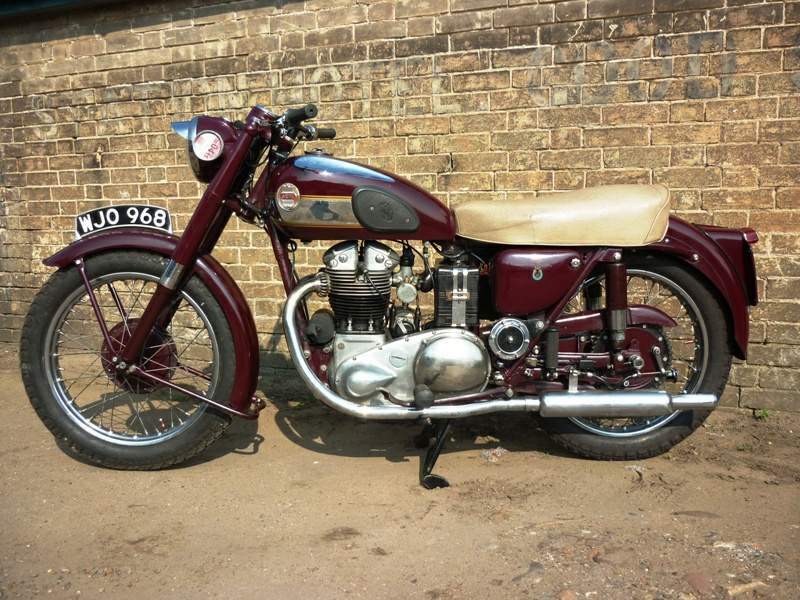 Judged solely on its looks, the Ariel should have been a winner. However, with no competition pedigree and an image that swiftly became one of stolid rustic dependability, it’s no wonder the relatively expensive Ariel was never a top seller. Although Page’s design was similar in layout to that of Edward Turner’s Triumph Speed Twin, using the same 63x80mm bore/stroke dimensions, it differed greatly in detail, particularly at the bottom-end where Page opted for a one-piece forging with bolt-on central flywheel rather than a built-up crankshaft. Like Triumph, the Ariel employed separate camshafts but with the pushrods at the four corners of the barrel, enabling cooling air to flow unobstructed between the cylinders. The transmission featured Ariel’s familiar dry clutch and Burman gearbox. 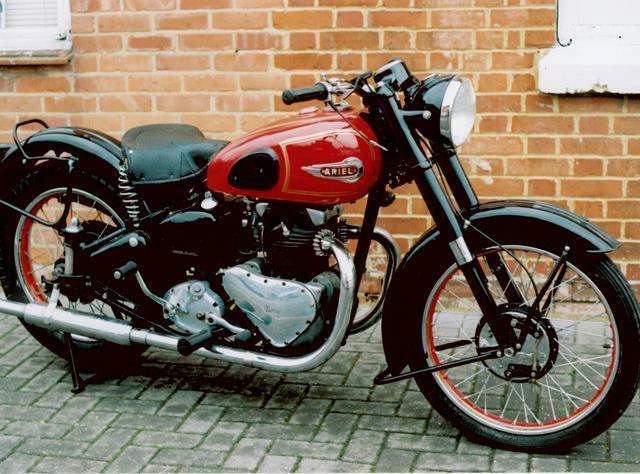 A rigid frame was standard, with Ariel’s Anstey-designed rear suspension an option, while the design of the tele-forks was shared with parent company, BSA. In 1954 the KH came in for substantial revision, adopting the alloy cylinder head of the short-lived KHA model and a duplex-loop swinging-arm frame. Two years later the single-sided hubs were superseded by Ariel’s handsome full-width alloy ones and the KH continued in this form until the end of 1957 when the model was dropped. 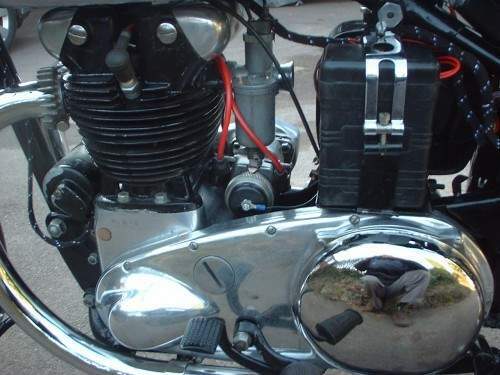 Its demise marked the end of the line for the true Ariel twin, although the BSA-clone Huntmaster continued until 1959.